Make the Large Cork Board as large as you want! Cork message boards provide the perfect surface to post messages, notices, and announcements. We offer 8 sizes to fit your classroom or administration office needs. Choose between red, blue, and green to add a subtle splash of color to your learning environment. 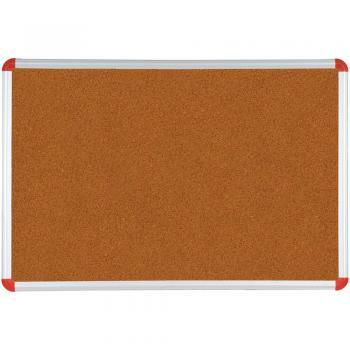 We construct the Large Cork Board with natural cork that has tinted binder that provides a flexible, durable, and self-healing posting surface. Satin-anodized aluminum trim secures the posting surface. The Large Cork Board is Greenguard indoor air quality certified to protect your students from harmful inhalants. Teachers use the cork board to post art projects. Administration personnel utilize the large posting surface to announce new policies.